In last week’s post we discussed natural gas supply and demand as well as pricing, all factors that must be considered when examining whether natural gas will continue the popularity it enjoyed in 2012. This week we continue the discussion by looking at how exports, the environment, infrastructure, and global perspectives affect the rise or fall of natural gas in the U.S. in 2013. While gas prices in the U.S. have hovered below $4/MMBtu lately, prices in Europe are typically above $10 and in Asia above $12. This price difference, coupled with robust U.S. supply and a fleet of unused import LNG terminals, has become a clear recipe for natural gas exports. The U.S. Department of Energy recently released a report that concluded that exporting LNG would have broad benefits for the U.S. and would only minimally impact domestic natural gas prices . Although the report’s conclusions are being disputed by industrial consumers who fear higher prices, it appears likely that the U.S. will approve numerous projects to convert LNG terminals for export capability. Most projects won’t be ready for exporting in 2013, but this will result in significant infrastructure spending next year. While natural gas has provided significant environmental benefits in shifting generation from coal to gas, and has the potential to do the same for shifting oil consumption to natural gas in transportation, the industry has failed to get the support of many environmental organizations and much of the public. Likely 2013 will be a year where concerns over fracking come to a head. Expect to hear a well-orchestrated campaign against fracking coming from some interest groups along with strong public concerns. More stringent regulation is likely, but it appears highly unlikely that concerns will lead to much slowdown in fracking activity. The benefits for the economy and the environment appear too great for fracking to be shut down. Additionally, 2013 will be a year for billions of dollars of infrastructure investment. We have already discussed LNG export facilities. 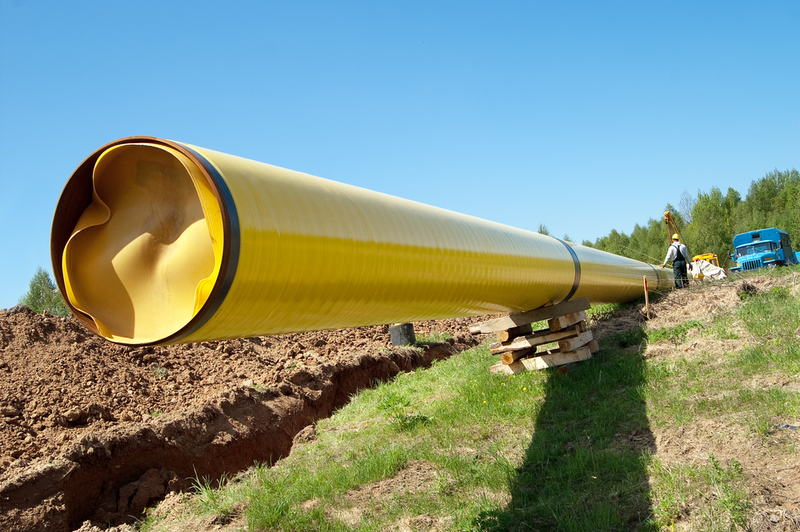 But even more money will go into pipeline expansions to move new shale gas production to markets and for safety upgrades in the transmission and distribution network. For example, the local distribution company in northern California, PG&E, is in the middle of a three-year, $2.2 billion pipeline enhancement project . Indeed, a Black and Veatch study on the natural gas industry showed that safety is the most important long-term issue across all sectors of the industry . The need for such significant infrastructure will also lead to a need for workforce development as many of the experienced workers who built the last wave of infrastructure have now hit retirement age. The future of gas is not only rosy in the U.S. Economies throughout the world are looking to gas to provide low-cost and clean fuel to drive hopeful future economic growth. Indeed, Exxon Mobil has forecast that natural gas consumption will overtake coal as the No. 2 fuel in the world by 2025, a mere 12 years from now . Gas’ growth internationally has been held down by two factors. Significant gas reserves are not located near the large economies of Asia and Western Europe, requiring expensive infrastructure investments for multi-national long-haul pipelines or LNG projects. This has led to the second key factor, which is producers’ ability to insist on long-term contracts with prices pegged to oil prices. The result is natural gas prices being significantly higher than in the U.S. and less competitive with other fuels. Whether this will change remains to be seen. Amazingly for an often pessimistic industry, the aforementioned Black and Veatch survey found that 92% of respondents were optimistic or very optimistic about the industry’s future growth. Yes, it appears that natural gas is likely to bloom at least in the near future. But as with all relationships, history tells us nothing is certain! This entry was posted in Natural Gas and tagged Liquefied Natural Gas, LNG, Natural Gas, Natural Gas Fracking, Natural gas industry, Natural Gas Markets, Natural Gas Prices. Bookmark the permalink.